This powerful Lynx V10 PCP comes equipped with a large air tank to allow for longer sessions without the need for a refill. 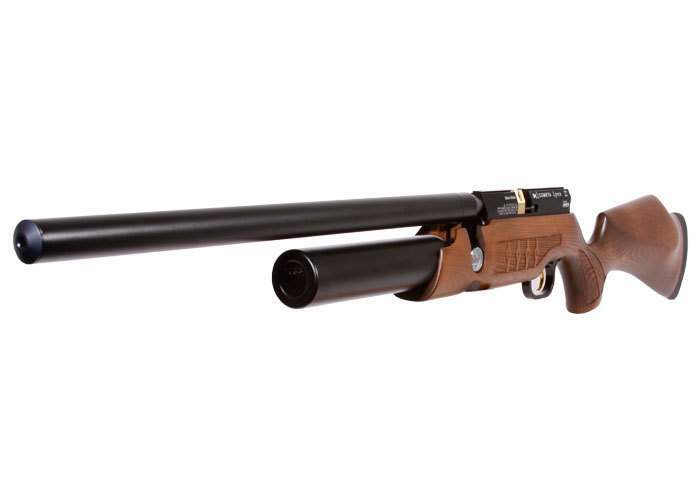 Add to that the 10rd mag that gives you fast follow-up shots and the Lynx V10 is the perfect Air Rifle for a multitude of shooting activity’s including hunting and target practice. 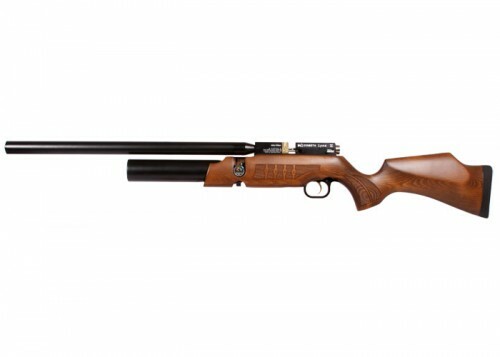 It comes with full specification, you can adjust the power of the Rifle (from 8 Joules to 60 Joules, depending on the power setting and caliber), this is ideal for farming and pest control as it allows you to use the gun indoors or in barns without damaging roofs, while leaving the option of full power for outdoor use. Also the shrouded barrel makes the gun virtually silent. The Lynx V10 offers a large number of shots per charge, all with pin point accuracy. This is achieved as there are no moving parts or springs in the gun. Combine this with the use of the recommended ‘Cometa EXACT Jumbo Heavy’ 1,175 grams / 18,13 grain, Air Gun pellets and the Lunx PCP Rifles offer industry leading power and accuracy. The air pressure in the Lynx is constantly regulated and comes with a handy pressure gauge. Easy pellet loading and optional multi-shot magazine. 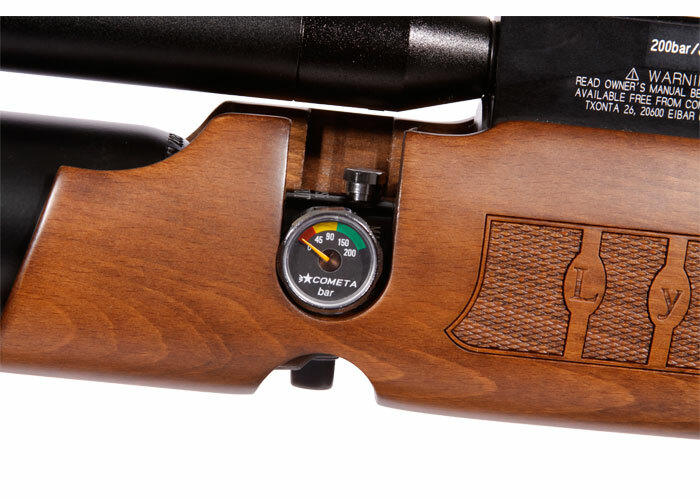 Ambidextrous stock with modern checkering.